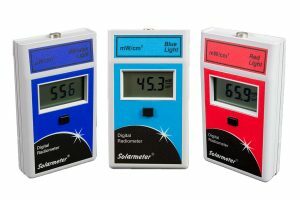 Solarmeter® is Solar Light Company, Inc.’s brand of specialty hand held light meters for consumer, light industry, zoological, and life sciences applications. 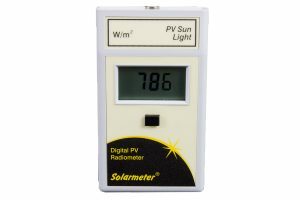 These affordable but extremely accurate radiometers have a 25+ year track record as the industry leaders for a variety of uses, including precise UV index measurement for reptiles and humans, measuring lamp irradiance vs. aging, window film tint measurement, UV curing, sterilization lamp measurement, red/blue light phototherapy, LED measurement, and photovoltaic (PV) solar irradiance metrology. 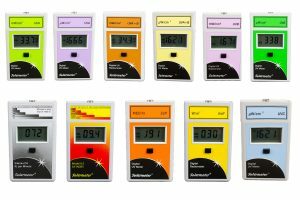 These meters provide long term accurate measurements for both low and high intensity lamp systems, in order to enable proper output and aging determination. A wide selection of these NIST-Traceable instruments is available for UV, Visible, and IR measurements, as well as customized or OEM / private label requirements. Solarmeter® UV radiometers have a 25+ year track record as the industry leaders for a variety of uses, including measuring lamp irradiance vs. aging, window film tint measurement, sterilization lamp measurement, LED measurement, and more. These meters provide long term accurate measurements for both low and high intensity lamp systems, in order to enable proper output and aging determination.